There is a wealth of information about the local area on the Cornwall Tourist Board website, but here is a selection of some of the most popular places to visit during your stay at The Chapel Guest House. 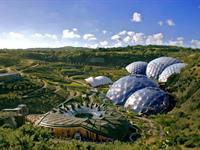 Just 3 miles away is the world famous ecological project built into a disused china clay quarry. A mecca for plant lovers and location of a James Bond movie! Just 11 miles south is the famous garden resurrected by volunteers and now being run as a fully working garden for produce and for pleasure. 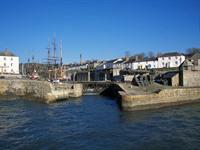 5 miles away is the harbour where the collection of “tall ships” has made Charlestown a great attraction for those who share an interest in sailing ships and the sea, not to mention the excellent eating places!. Don't forget to check out the shipwreck centre! 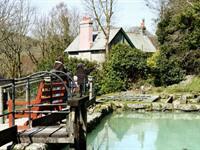 Just 500 metres away, the park, also known as Wheal Martyn, is the only china clay museum in the UK. Its 26 acres chart the history and technology of china clay extraction and its effect on the landscape. 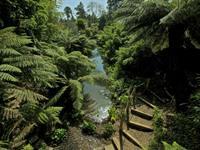 Now a part of the Cornish Mining World Heritage Site, the museum also has extensive nature trails. The China Clay Trail cycle route also starts here. 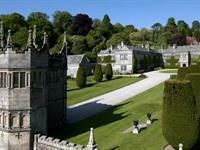 Alongside the A30 sits the late Victorian country estate of Lanhydrock. Now owned by the National Trust, it has extensive servants quarters, kitchens, dairy, buttery as well as the family’s quarters. The well maintained gardens are essential viewing! The Chapel Guest House has been under new ownership since December 2016 and is now managed by Andrew & Deborah West. Over Winter we have undergone extensive refurbishment throughout most of the property including all accommodation. All of our rooms are fresh clean and simple with brand new beds and mattresses and all mod cons provided. We look forward to welcoming guests, both new and old, to this beautiful part of Cornwall. Check out our website for the best rates guaranteed. Book directly with us to get the lowest available rates. Take advantage of the promotions on our website. 10% discount on room rate when you book directly on our website.